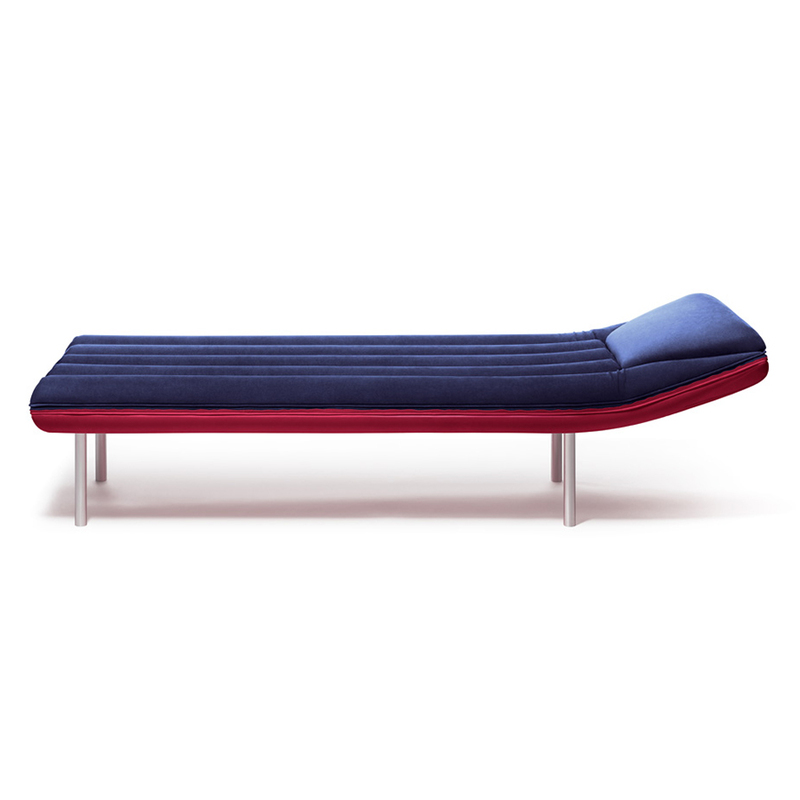 It could be the perfect pop lounge chaise for your situationist shrink. And maybe it might even work to help you overcome the fear of water. In its features we can clearly see the reference to the air mattress of the seventies, as well as its ironic charge. Comfortable and playful, Blow takes idleness to extremes. With sunglasses and a cocktail in your hand, no wave can hurt you, nor can the sun burn you. Even in the winter months this irreverent seat is your lifeline against the tedious domestic life. Five minutes spent lying on Blow will make life smile to you. Even your doctor will suggest it to you: close your eyes and enjoy your Caribbean private swimming pool, or let yourselves be lulled by the calm sea of Sardinian inlets. You won’t feel the earth under your feet anymore, but an ocean of relax in which to lose and lightly abandon yourselves - even fall asleep without the risk of being carried away by the current. Home is your safe harbour; Blow is your exclusive and privileged berth, let alone it does not pollute, needs no maintenance and has no running costs. Bye-bye, yacht - and welcome Blow into my dreams. Polyurethane foam with washable fabric (85% polyester 15% polyurethane). Stainless steel base.